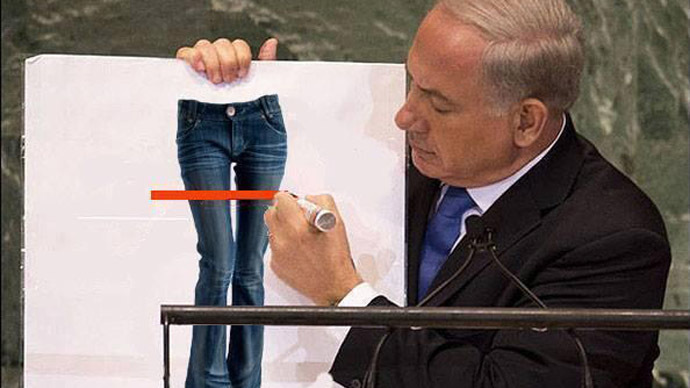 Israeli PM Benjamin Netanyahu may have sought to induce Iranians in a ‘historic’ interview with the BBC’s Persian service, but a casual claim that people in the Islamic Republic are banned from wearing jeans was one fashion faux pas many could not bear. Recent signs of a thaw in Iranian-US relations sent Israeli Prime Minister Netanyahu on a ‘media blitz’, telling the world not to be fooled by Iran. 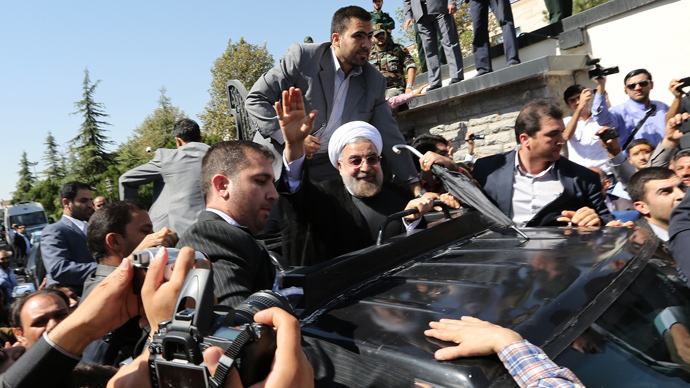 When addressing the United Nations General Assembly on Tuesday, he warned that Iranian President Hassan Rouhani is a "wolf in sheep's clothing" dead set on advancing the Islamic Republic’s nuclear program despite overtures to the contrary. But while the perennial threat of unilateral military action remained the stick in Netanyahu’s PR offensive, his decision to directly address the Iranian people for the first time ever via a Persian-speaking media outlet was viewed as the carrot in his repertoire. Netanyahu’s chosen venue: BBC Persian, which some 12 million Iranians reportedly tune into each week. Netanyahu’s hopes to appeal to young Persians by evoking the death of Neda Agha-Soltan during the 2009 Iranian election protests while discussing the need for an end to the country’s uranium enrichment program might have been a deft maneuver in normal circumstances. One comment, however, displayed not just how out of touch Netanyahu is with the average Iranian, but an apparent obliviousness to how the country’s internet-savvy and fashion-conscious youth would respond. "I think if the Iranian people had freedom, they would wear jeans, listen to Western music, and have free elections," Netanyahu said in the interview, which was dubbed into Farsi and released late on Saturday. In one fell swoop, Netanyahu incited anger among the young, liberal demographic which was likely to have voted for President Rouhani en masse in the last election and would have otherwise been amenable to the Israeli PM’s message. Twitter, which is blocked by the Iranian government but is routinely accessed via virtual private networks, became the primary outlet for Iranian youths to bash the Israeli PM for his less-than-astute comments. “2day I’m wearing jeans, I can send my photo 4 Netanyahu if his spies in Iran didn’t see people who wear jeans and listen to Western songs by their iPhone!” Sadegh Ghorbani, a young journalist from Tehran, posted on Twitter. Mohamad Nezamabadi, a student at Tehran University, was equally derisory. “Not only we wear jeans, but also listen to the foreign language musics [sic]! I bet he thinks that we ride horses instead of cars!” he tweeted. But perhaps the coup de grâce was a picture of Iranian Supreme Leader Ali Khamenei next to an Iranian boy in jeans. While women in Iran are required to cover their hair and wear loose clothing in public, jeans are not forbidden. Western music for its part is illegal, though peer-to-peer file sharing, there, as everywhere, has the average Iranian teen plugged in directly to worldwide trends. Others used the opportunity to open a deeper political dialogue on the bone of contention between the two states. “When @netanyahu doesn't know about what Iranians wear, how does he dare to talk about Iran's Nuclear Program? #IranJeans,” Ali Shahri wrote on Twitter. 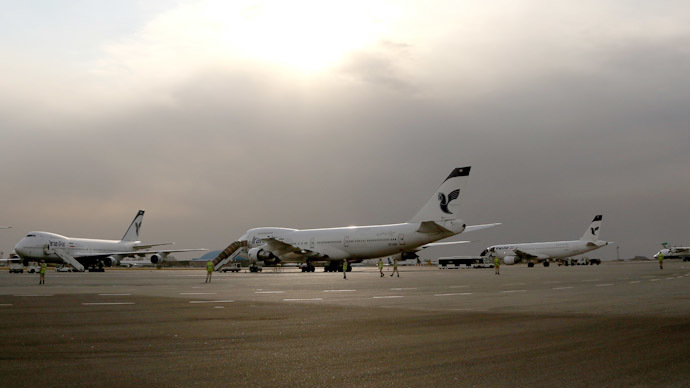 “#Netanyahu has no idea what ppl in #IRAN do in public; how he can be so sure he has accurate info of what's going on in secret N bunkers?” Mehrzad Kohanrouz tweeted in a similar vein. 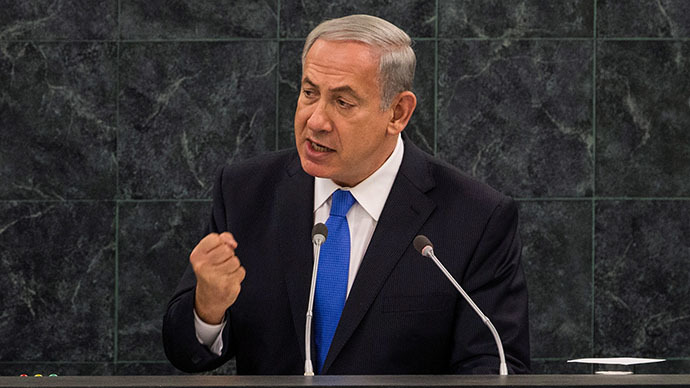 Netanyahu also noted that the people of Iran and Israel had a "deep friendship into modern times" whose destruction he blamed on the theocratic government in Tehran. He criticized the censorship of social media and satellite channels inside Iran as well as the government's treatment of women and gay people. "This is not what the Persian people deserve," Netanyahu said. "I would welcome a genuine rapprochement, a genuine effort to stop the nuclear program – not a fake one. Not 'harfe pooch'," Netanyahu said, which can be roughly translated as "empty words" or “nonsense”. While many young Persians may have been open to Netanyahu’s overtures, one slip of the tongue ensured that in an interview which had been heavily marketed, style would prevail over substance.